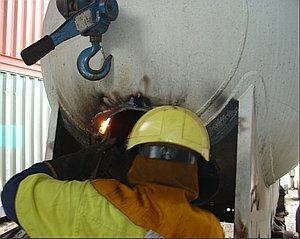 Acacia Ridge Container Park has had over 20 years experience in the repair and maintenance of tanktainers. With the combination of cleaning and repairs in one central location, we serve convenience to our customers. We regularly provide our services to some of Australia's biggest names in transportation. We can carry out a full written inspection report accompanied with photos. All of our inspection reports and repairs are carried out to IICL standards.